Ordinarily the Full Moon at 17° 23′ Libra on 6 April 2012, 12:20 PM PDT, favors sitting down to talk over relationship issues with your partner but not this one. Unfortunately lovely Venus in Gemini squares an uncomfortable Mars in Virgo and both are involved in a T-Square with elusive Neptune. Between uncertain tempers, jealousy and a good possibility that the facts will be in short supply, resolving differences is NOT going to be easy. Libra’s ruler, Venus, leaves easy going Taurus for Gemini on 3 April and is on her way to an exact sextile to Uranus in Aries on 9 April. Venus in Gemini has an edgy, brilliance to her and is more interested in playing the field than settling down. Uranus will amplify the desire to remain free and independent. Given Venus’s need to be adored and the square to Neptune in empathetic Pisces, the number of little “white” lies is bound to multiply . . . eroding trust and honesty in relationships. Sure, you can say you only lied to spare someone’s feelings but please consider being honest. As long as Saturn remains in Libra, chances are behaving badly towards our partners will result in instant karma. By the way, Saturn in Libra is inconjunct a newly direct Mercury in Pisces and making it tough to determine whether or not we’re coming across the way we hope to. We may think we are getting our point across only to be greeted with a look of total incomprehension. Under this influence it will be very easy to misinterpret a well meaning comment, so carefully prepare your remarks before opening your mouth. And then there’s Mars in Virgo . . . a week away from stationing direct and moving at a crawl, a guarantee he is not a happy camper. He’s under pressure from a very irritating inconjunct from pushy Uranus in Aries and feeling painfully out of sync with lovely Venus in Gemini. The only pleasant influence is the opposition to Neptune in Pisces who may encourage him to take refuge in la la land. Time to hang up the “gone fishing” sign and head out the door. I have the feeling neither Libra nor Aries are going to enjoy this Full Moon . . . The Sun in Aries and Moon in Libra form awkward aspects to Jupiter in Taurus, creating an atmosphere where exaggerations will be commonplace and may lead to emotional drama, both in the collective and in our personal interactions. Take your time to collect as much information as possible and consider it carefully before making decisions. Thankfully Pluto in Capricorn only plays a very minor role here. The slowly waxing sextile to Chiron in Pisces encourages us to go deep within to relax our grip on old obsessions linked to past injuries. Pluto’s influence will return to center stage in late May and June. On a personal note: Yippee skippee, my natal Venus in Sagittarius creates a Grand Cross with the T-Square of Venus, Neptune and Mars. I can’t decide whether to laugh or cry because I’m pretty sure with Neptune involved I won’t know what’s what until the fog lifts. One of those times I’m grateful to be an old broad with years of Saturn’s lessons on impulse control behind me. Speaking of Saturn, he’s now off my Chiron and will be a diminishing influence for several months. Oh, he’ll be back to bug me once more in September but until then I can focus on other things. Welp, my ascendant is at 17 degrees Libra…so I guess it will be an exciting weekend to say the least! And then my Saturn is at 3 degrees Sag, so theres my version of the grand cross, woot!! I had a feeling about this full moon, and have been working on it since about Monday night. This is really a good time for me to say everything that needs to be said, in the simplest terms possible, because there’s a whole lotta stuff I’m not going to put up with in April and beyond. Some others will have to gitty up, or I’m gittying out (and, fortunately, I’m not being a b*tch about any of it– just calm and clear). ROFL, orianaaa! 😀 We’ll survive . . . so glad Saturn is continuing to leave our Suns alone. A bright spot here. Great! 🙂 this is 2 degrees shy of my Libra sun so doubt I will be feeling it! Staying low! this is 2 degrees shy of my Libra sun so doubt I will be feeling it! Staying low! I’ll have this FM right on my Uranus (17 Libra) and Ascendant (19 Libra). Is the only option to stay as low as possible? Excellent, I will go for full visibility then, I like this idea even more! Can Uranus help me in my job interviews? Oh, and I forgot to mention – my natal Chiron (conj DSC, 16 Aries, 6 house) is in the play as well. The natal Uranus-Chiron opposition and ASC-DSC axis will be glowing with this FM. Wow! I’m not sure what I should do, but me and my boyfriend are already arguing and I will listen more than speak this Friday. We are both Cancers so, not sure how he’ll react!? Any advice? 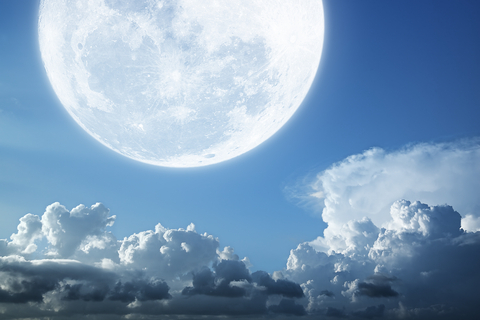 This Full Moon will be hardest on Cancers born from July 8-11. Hopefully neither of you were. 🙂 Once the Moon enters Scorpio on Saturday it will help. My ex boyfriend & I have been fighting since the new moon on March 23. He a Cancer (July 19) and I am an Aries (April 19). Will we come to an understanding soon? My sun is at 17*56′ Libra, and on my birthday Oct 11, I had a huge blowout with my addicted daughter, and I got her to go into rehab that day. After seeing her on her first day leave this Sunday, she immediately went on a bender and did drugs and alcohol, got kicked out, put on 24 hour mental health hold, and is now in a new detox center. Wednesday, when I found out, I was gripped with guilt, because I was planning on moving on, and I wondered if she needed me, or didn’t need me, because it seems she uses me to ruin her life. I had to think about it, but I did tell her that she needs to change, that I didn’t sign on for 22 years of hell, and I wasn’t going to take it any longer. I refuse to get dragged down with her. Every time I try to help her, she uses me to ruin her life further. I decided to move on. FYI I have a heavy third in Scorpio, she has a heavy 8th in Gemini. One of the most heartbreaking things I know of is facing the challenges of an addicted loved one. As I’m sure you’ve been told by others, moving on with your own life is the best route for you. With her loaded 8th house in Gemini, maybe having Venus there for an extended stay will help her turn the corner and choose sobriety. My sun is in 9 degree of Libra, my rising sign is in 16 degree of Gemini, and my moon is in 26 degree of Sagittarius. Can you tell me what I need to pay attention to this FM? Is it my Uranus in 17 Libra?